Read the latest ICAA newsletter here. 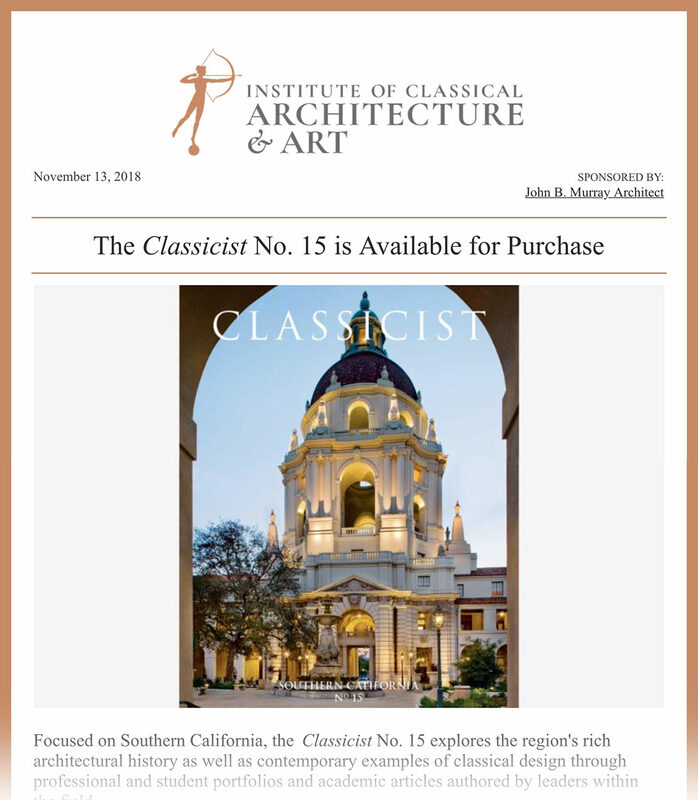 Published November 13, 2018, it features the new Classicist No. 15, the premiere of the ICAA film Robert A.M. Stern: Always a Student, information on upcoming Continuing Education programs, upcoming travel opportunities, and more.